Considering moving to SharePoint online? How about a free demo to discuss your needs? What is it? Why is it? How does it work? Where do I start? Microsoft has made a significant shift in its SharePoint platform, moving into the cloud with the new Office 365 / SharePoint Online version. While the benefits and advantages of this new cloud SharePoint are vast, many IT Directors are still hesitant to move important content to the cloud. With this blog post, I hope to highlight some of the advantages that you should consider as an IT Director when evaluating SharePoint Online. 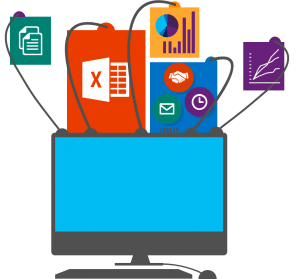 In an on premise SharePoint environment, there is no out of the box method to share SharePoint content with users outside the domain. You could extend the content Web Application, configure Forms Authentication and then have your developer set up an ASP.NET page to manage credentials for the Forms Web Application. Alternatively, you could provision domain users for those external entities. Perhaps you decide to create a new, external facing Web Application, and sync certain content from the internal Web Application. Regardless of the method you choose, it is going to require a decent amount of human effort to set up and maintain. With SharePoint Online, granting external access has never been easier. Your users can share sites, folders, and individual documents with external users, who simply tie a Microsoft Account to their corporate e-mail address. You can also generate Guest Links, which allow Read or Edit permissions to be granted without requiring authentication, while allowing the Guest Links to be revoked at any time. As an IT Director, you should still establish polices regarding external sharing, what data types or content areas are allowed to be shared externally, and who should audit external permissions. With effective policies in place, it’s simply a matter of enabling external access, and that’s it. OneDrive for Business is simple cloud storage for your employees. Everyone who has use rights to a Personal Site (formerly known as My Sites) have access to OneDrive for Business, with a one TB personal storage quota. Even better, each users OneDrive storage quota does not count against your overall SharePoint Online storage quota. Microsoft OneDrive can be the perfect replacement to your growing local network servers. OneDrive for Business gives employees a personal site, where they can sync and share documents, collaborate on documents with individuals inside and outside the organizations, and access their content from a multitude of devices. OneDrive for Business integrates with Office products, and also can be synced into Windows Explorer for a familiar experience. Your SharePoint Admins can assume control of a user’s OneDrive, should a user leave the organization and important documents need to be retained from their OneDrive. If you are an IT Director with a network share for your users, and you are looking to retire that pesky network share, OneDrive for Business could be your solution! In the past, Microsoft has released a version of SharePoint every 4-5 years, bringing to the market big chunks of new features and functionality. With SharePoint Online and Office 365, which use a rolling release model, the “big chunk” approach has been tossed out the window. Rolling releases means new versions, improvements, and features are continually released to SharePoint Online customers on a regular basis, free of charge without the need for installation or application. From personal experience with our SharePoint Online environment, Microsoft has done a great job of communicating via the Office 365 Admin portal when updates are scheduled, and we’ve experienced no significant issues from any updates. Essentially, going forward, new SharePoint features and functions are released for SharePoint Online first, then available to apply to on-premise environments at some point in the future. If you are curious to see what new features are in the pipeline, Microsoft recently published the Office 365 Roadmap , a living document which changes frequently, which gives you an idea on what’s coming down the road. You can also choose to enable “Preview Features”, which gets you early access to new features that have limited support, allowing you to be on the bleeding edge of SharePoint. 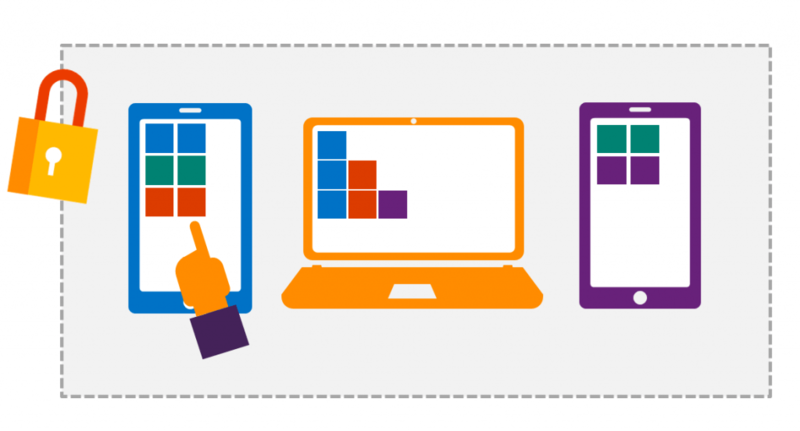 With Office 365 and SharePoint Online, your users are no longer tied down to a single device, or a single network. Imagine a world where you can access your e-mail, documents, contacts, and intranet, from any browser on any device on any internet connection. Need to work from home, but forgot to take your work laptop home? Not a problem, just log onto Outlook Web Access to retrieve your e-mails, or SharePoint Online to grab important documents before your Skype for Business meeting. Maybe you’re going on the road, and only going to have intermittent internet access? Just sync content to Windows Explorer from SharePoint Online, and whatever changes you’ve made while offline will upload back to SharePoint Online once you’ve reconnected to the internet. With SharePoint Online and Office 365, the world is your workspace! In Office 365, you only pay for what you need, when you need it. The month-to-month subscription model allows you to add and remove users at-will, so you won’t have to worry about dead licenses leeching the life out of the IT budget. Provisioning a new user on Office 365 is very easy, just a few clicks in the Admin Portal to create a new user or assign new licenses. If that user leaves the company, you can reassign the license, or simply remove it. The same scalability applies on the data storage side of Office 365, where you only pay for the storage you need, when you need it, and can easily purchase more storage with a few clicks. No more pricing out new servers to scale out the farm, or buying new hard drives to increase your storage space. For our organization, the Office 365 99.9% SLA was a huge draw to move to Office 365 and SharePoint Online. When I took on my role as IT Director, one of my top priorities was to improve the availability and uptime for our SharePoint on-premise intranet. As I started designing the hardware solution, I quickly realized that even to provide 99% uptime would require capital investments for failover Hyper-V servers, an enclosure or two to implement Storage Spaces, a generator for backup power, etc. The price tag for the on-premise hardware alone made our CFO’s eyes pop out, let alone the human effort in hours to implement the solution. Instead of asking for a large capital investment, I made the call to move to Office 365. With a financially backed 99.9% SLA, SharePoint Online provides better reliability and uptime than I could reasonably achieve on-premise. When we have had an issue (which is very rare), I’ve just had to submit Support Tickets via the Office 365 admin portal, and the response times for Support Tickets have been phenomenal, we’ll typically get a response within the business day. You can learn more about the Office 365 SLA at the Office 365 Trust Center. This is an easy way to make your CFO happy! By moving to SharePoint Online, I was able to turn unpredictable capital expenditures into predictable operational expenditures. This can free up cash for other critical business needs and reduce your company’s tax liabilities. In our particular instance, this allowed us to take money earmarked for buying hardware and reallocate it to providing SharePoint training for end users. As an added bonus, the labor cost of keeping our SharePoint environment up-to-date dropped significantly, and we’ll avoid the labor costs of migrating to SharePoint 2016 once it is released. Less time spent on maintenance and upkeep of SharePoint means more time to spend on revenue generating activity, which is what it’s all about! Physical Security – Microsoft doesn’t disclose locations of their data centers, and provides multiple layers of physical security. This includes biometrics, motion sensors, constant video surveillance, and armed security at the data center. Encryption of data – Microsoft use disks with BitLocker encryption, and secures traffic with SSL over HTTP. Information Rights Management options allow you to further encrypt and control access to sensitive data. No data mining – Unlike many cloud platforms, Office 365 does not mine or access data for advertising purposes! Backups – Microsoft employs multiple layers of redundancy and backups in their data centers, more than I could ever provide as IT Director of a small business! In-Region Servers – Microsoft keeps data in the region specified when the subscription is first created. If you’re worried about keeping your data in the US, then you can choose to house it in a data center located outside of it! Identity Protection – Office 365 requires strong user passwords Out of the Box, and multi-factor authentication is easy to turn on and roll out on a user-by-user basis. Data Protection Agreement – In addition to EU Safe Harbor, Office 365 is the first major business productivity public cloud service provider willing to sign the standard contractual clauses created by the European Union (called the “EU Model Clauses”) with all customers. Additionally, it has become the only public cloud service to have implemented the rigorous set of physical, logical, process and management controls defined by ISO 27001. # 9 – Free up IT staff – No More Maintenance! IT Departments typically don’t suffer from a shortage of work to be done, and I was very excited at the idea of no longer having to perform backups, OS maintenance, SharePoint patches, etc. By moving to SharePoint Online, we were able to free up hours that would be spent every week on our on-premise SharePoint environment, and use that time working to improve our Intranet in SharePoint Online. There was a long queue of improvement requests from the user base, but with all the on-premise maintenance time freed up with the move to SharePoint Online, our IT staff was actually about to start working on long overdue improvements, which made everyone happy! Bonus # 11 – Work with the Office stack right in the browser, no client-side installs needed. With Office Online, users can have almost all the functionality of the client-side Office product, in the browser. Open and edit documents from SharePoint or the Outlook Web App, see hover over previews of documents in SharePoint or in SharePoint Search results, and so much more. Office Online gives you enhanced collaboration with improved co-authoring capabilities. Never worry again about running out of Office licenses, as it is fast and easy to add, remove, or re-assign Office Online licenses. Since moving to Office Online, I rarely utilize the client-side Office offerings, and I’m able to be just as productive from a random internet connected PC as I can be from my workstation. Overall, while there were some speed bumps in the migration to Office 365 and SharePoint Online, at the end of the day we’ve got a faster, more reliable, more secure and user friendly intranet, and the hours and money we saved on maintenance and hardware have been put to great us in other IT areas, such as training and business process improvements. Whether you have SharePoint on premise, or you’re looking to jump into SharePoint, I highly recommend taking a close look at SharePoint Online and Office 365!